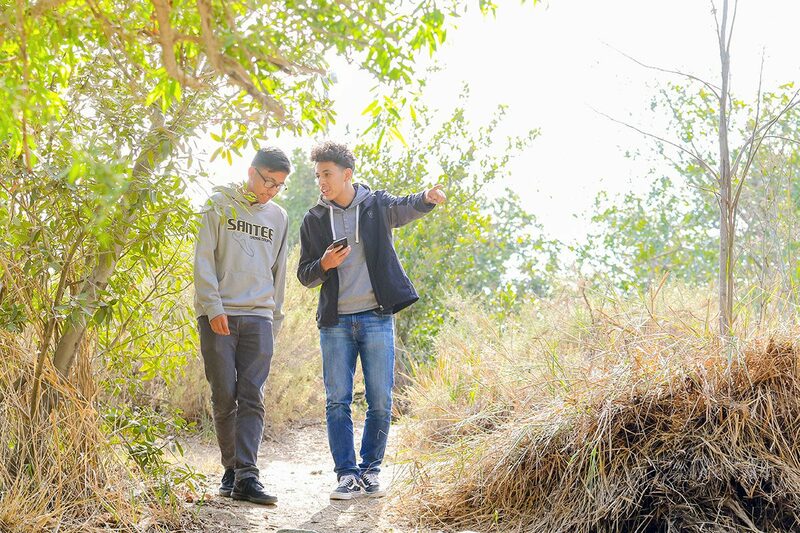 In Historic South Central Los Angeles, there is a group of students who are helping to shape an under-resourced community for the better through a process of community engagement and empowerment. Led by National Health Foundation (NHF) in partnership with organizations such as 3WINS program at California State University, Northridge, All People’s Community Center, A Place Called Home , L.A.U.R.A., Leadership for Urban Renewal Network (LURN), South Central Family Health Center and St. John’s Well Child and Family Center, the teams of students are making it easier and safer for their friends, families and the community to get outside and get active. 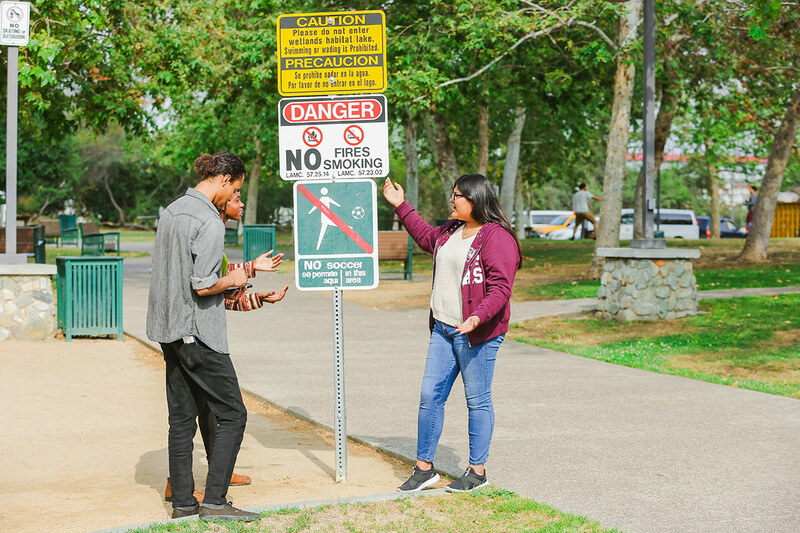 In many communities like South Los Angeles, the barriers to health that exist in the built environment such as a lack of safe parks to play in, low walkability and a lack of healthy food options have had an impact on the wellbeing of residents with high incidences of diabetes and heart disease reported. The 15 Community Health Liaisons recognized these barriers and worked tirelessly encourage walking in the community, establish a series of free physical education classes in local parks and centers and worked with corner stores to increase the availability of fresh fruits and vegetables in their community. As a result of the students’ efforts, 11 Walk This Way signs were installed along a 4-mile radius to indicate to the community the walking time and distance to 27 key community landmarks. Research has shown that community residents are more likely to walk to a destination since the installation of the signs. The community also boasts 312 hours of free physical activity classes annually provided through local partners. These classes have given 86 people the opportunity to become physically active, 41% of whom are returning regularly to classes. The students received 20 hours of training, research and engagement alongside partners and NHF staff and while we witnessed their enthusiasm and engagement, we were most thrilled when 100% the senior students graduated from high school and went on to college.